Many people are wondering which iPhones are unlocked right out of the box and how to unlock them. Here is a detailed guide that you should follow for the iPhone 5S and iPhone 5C. 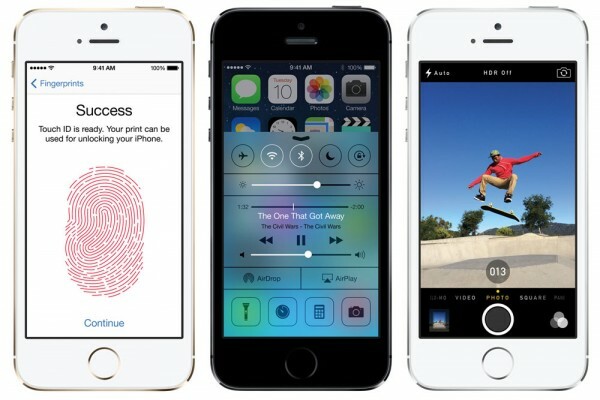 Carrier: AT&T will unlock your iPhone 5S or iPhone 5C once your contract is completed per request. Unlock works for any GSM carrier, US or other countries. Unlocked: No matter where purchased or at what price, ALL Verizon iPhone 5S models and iPhone 5C models are unlocked right out of the box. Even if they are bought from Verizon or 3rd party retailers at the subsidized price. Can never be carrier locked. The is due to an FCC requirement for Verizon LTE phones. Unlocked: If purchased from Apple. The iPhone is only sold to T-Mobile customers at full retail price by Apple, no EIP financing through Apple. Thus coming from Apple, the iPhone 5S that has a T-Mobile sim card is factory unlocked out of the box. Locked: If purchased from a T-Mobile retail store whether financing or at full retail price. Phone will be LOCKED. Carrier: T-Mobile allows you to request an unlock for your phone after 40 days of service with the carrier. Unlock works for any GSM carrier. US and other countries. Unlocked: This phone can ONLY be unlocked by at the discretion of Sprint. After 90 days of service and paying your bill on time Sprint will allow you to request an unlock of your iPhone. Locked: This phone will be locked no matter where or how you purchased it. Full retail or subsidized. Note: Even when Sprint ‘unlocks’ your iPhone, it is only for international use. It CANNOT be used on domestic GSM carriers like AT&T or T-Mobile. This means that in the USA your phone can only be used on Sprint even if it is unlocked. No exceptions. Will both models of A1533’s work on verizon wireless as long as you have the correct sims card? Will there be any lose of features or available network bands if I use the GSM model on Verizon? Or are these actually the same phone with no differences except the Sims card? Its been more than a little confusing when Apple Tech Dept. didn’t know that the Verizon system phone come unlocked as per FCC rules and they gave me incorrect model numbers for Verizon I Phones. To add insult to injury Verizon Didn’t have a clue either. I found the two critical model numbers for getting the correct Verizon I Phone 5 S. They are A1533 CDMA and ME344LL/A with the Me number used by Verizon to Identify their networks I Phone. Thanks again for your help. I was really hoping that the great pricing on the A1533 GSM would have worked for my needs, but no such luck. Even when verizon ‘unlocks’ your iPhone 5s(verizon) ,will work after unlocked with at@t or t-mobile???? hi lei. i want buy sprint unlock iphone 5s A1453. i am living in the netherlands. can i use this phone? thank you. Even when sprint‘unlocks’ your iPhone 5s(sprint) ,will work after unlocked with at@t or t-mobile???? Yes as long as it is a 4s or greater I believe. QUE PUEDO HACER PARA ACTIVARLO. I have a sprint 5s (ai453) but I can’t seem to find my model for my mpn it says ME387ll/A can somebody tell me why I seem to be the only one with this mpn ??! I have a sprint 5s a1453 but I can’t seem to find my model for my MPN it says ME387ll/A can somebody tell me why I seem to be the only one with this MPN??! Hello, I have an iPhone 5S Silver ME436B/A bought in UK. The phone seems unlocked and I used with different sims in UK, but when I arrived in Africa, it worked only with Orange (Uganda). I am in Rwanda now, but it can accept any of the local SIM cards (MTN, Tigo and Airtel). It tells me that the SIM card is invalid! What can I do? Hello, I got the ME343LL/A from Verizon here at the US. This week I’m leaving to Honduras, and I wanna know if it will work for Tigo, phone calls and 3G internet??? I had purchased 2nd iPhone 5S from Craig’s List. It was listed as Unlocked. Part Number ME326LL/A. It’s not supporting any other GSM SIM card. Will Verison unlocked model no ME34LLA work for GSM network in India . I am planning to Buy it . I have a Sprint iphone 5s me352ll/a. Will it work on GSM /AWS? my iphone5s model no. is NE304LL/A. Is that a refurbished? What means by NE? My friend received a Verizon iPhone 5S as a gift from a relative and although the phone will work on AT&T’s network, data is 4G only and not LTE. The larger problem for him is that AT&T’s voicemail doesn’t function on the Verizon phone. Any ideas?